Hey everyone! Mel here. I have a question for all y’all. You’ve met my pain-in-the-behind assistant, Betty. I love her to death, but she’s always coming up with crazy ideas and products she’s convinced we should carry at the boutique. Such as doggie boas to go with our pup tiaras, pet engagement and wedding rings to go with our bride and groom outfits, a bark translator, and cat pur-fume to name a handful. Okay, that last one we do carry at Bow Wow and it’s a top seller. So when Betty suggested we create a dating website for pampered pets, even though my first reaction was to chalk it up to one more outlandish idea, I stopped and gave the website real thought—all because of that top selling pur-fume. I have to confess, Betty had great points. Dogs are pack animals, they have oodles of love to give, they’re social, and crave attention. Admittedly, some of those points were made of a handful of clients who happened to be milling around the boutique when she blindsided me with her idea, but they were all good points. Here’s my question. Who would actually use a pet dating service? Is it really about connecting pets or about connecting people? Is it about allowing pets to connect with other dogs or because the humans crave company and connection? What do you think? 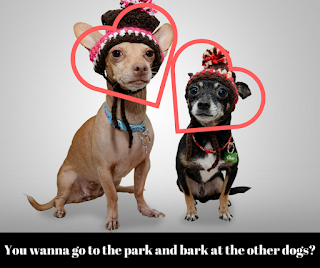 Good idea or file it with the bark translator? Oh, one more thing. 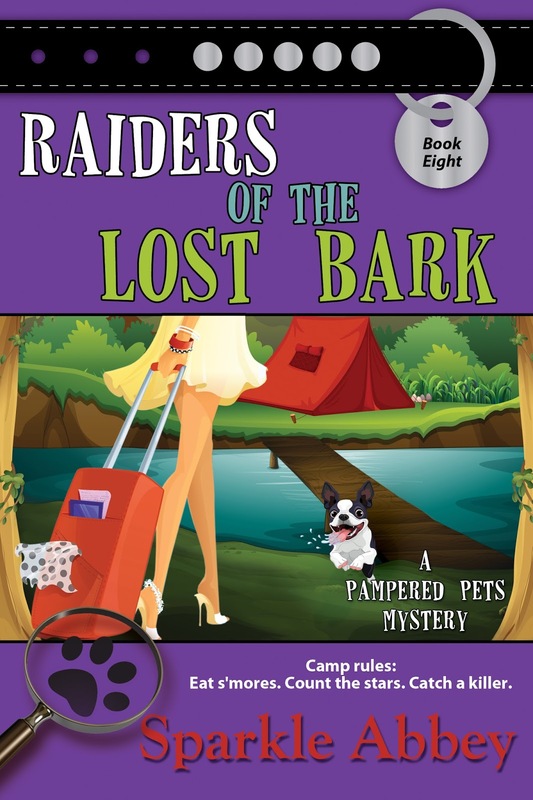 I just learned that Raiders of the Lost Bark, the book all about my glamping experience, will soon be an ebook special of $1.99 from July 16-31! So watch for that special pricing! Would this be a play date? Or you considering some... er, results from this date, as in puppies?? ?